JEFFERSON CITY, Mo. — Imagine the scenario: A federal agent attempts to arrest someone for illegally selling a machine gun. Instead, the federal agent is arrested – charged in a state court with the crime of enforcing federal gun laws. The scenario would become conceivable if legislation passed by Missouri’s Republican-led Legislature is signed into law by Democratic Gov. Jay Nixon. The Missouri legislation is perhaps the most extreme example of a states’ rights movement that has been spreading across the nation. States are increasingly adopting laws that purport to nullify federal laws – setting up intentional legal conflicts, directing local police not to enforce federal laws and, in rare cases, even threatening criminal charges for federal agents who dare to do their jobs. Some states, such as Montana and Arizona, have said "no" to the feds again and again – passing states’ rights measures on all four subjects examined by the AP – despite questions about whether their "no" carries any legal significance. 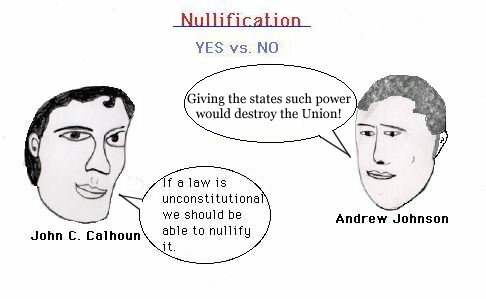 Yet "the law is clear – the supremacy clause (of the U.S. Constitution) says specifically that the federal laws are supreme over contrary state laws, even if the state doesn’t like those laws," Winkler added. The fact that U.S. courts have repeatedly upheld federal laws over conflicting state ones hasn’t stopped some states from flouting those federal laws – sometimes successfully. About 20 states now have medical marijuana laws allowing people to use pot to treat chronic pain and other ailments – despite a federal law that still criminalizes marijuana distribution and possession. Ceding ground to the states, President Barack Obama’s administration has made it known to federal prosecutors that it wasn’t worth their time to target those people. "The states created this federal monster, and so it’s time for the states to get their monster on a leash," said Marbut, president of the Montana Shooting Sports Association. The Supreme Court ruled in 1997 that local police could not be compelled to carry out provisions of a federal gun control law. But some states are now attempting to take that a step further by asserting that certain federal laws can’t even be enforced by federal authorities. A new Kansas law makes it a felony for a federal agent to attempt to enforce laws on guns made and owned in Kansas. A similar Wyoming law, passed in 2010, made it a misdemeanor. The Missouri bill also would declare it a misdemeanor crime but would apply more broadly to all federal gun laws and regulations – past, present, or future – that "infringe on the people’s right to keep and bear arms." "They’re going to have problems if they do it – there’s no doubt about it," said Michael Boldin, executive director of the Tenth Amendment Center, a Los Angeles-based entity that promotes states’ rights. "There’s no federal court in the country that’s going to say that a state can pull this off." If enough states resist, "it’s going to be very difficult for the federal government to force their laws down our throats," Boldin said. "Outlandish bills like this – completely flouting our federal system – make Missouri the laughingstock of the nation," said a message written by Ann Havelka, of the Kansas City suburb of Gladstone.